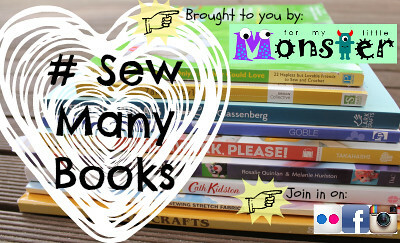 A lot has happened and I have missed my Sew Many Books project and so I have decided to bring it back bi-monthy! Once I had finished, I decided to get out all the bits and pieces I have been collecting to make T his quilt...and so far it is looking pretty good (if, I do say so myself :P), but it needs widening and lengthening so there is more work ahead of me before I get this quilt finished. I'll be sharing my next finished project on January 30 and I'd love to share some of your projects on my blog too so please join in! The traffic lights look great! 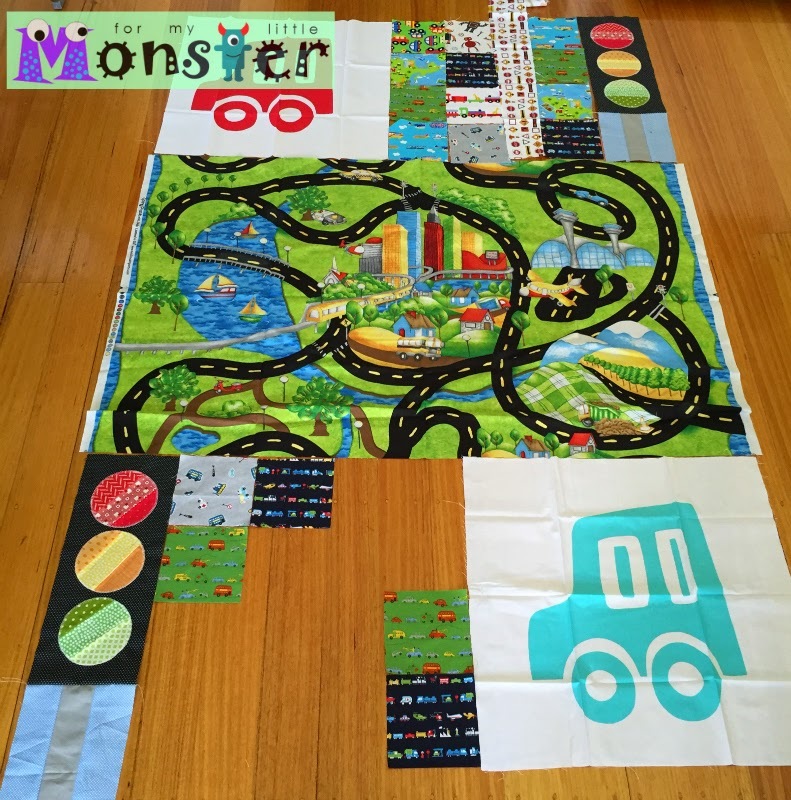 I have been thinking of getting that book - looked like lots of great projects for little boys and you have confirmed it! 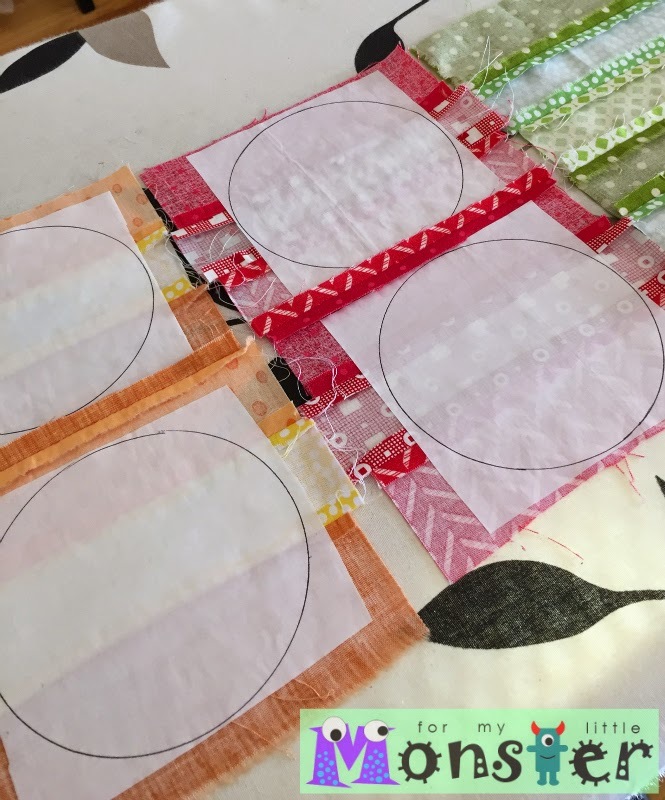 Love what you are doing with different blocks for the quilt. 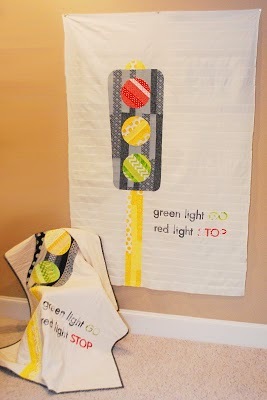 I love yur your traffic light blocks ad the traffic quilt for your son. Great idea for my grandsons. Good luck with all your projects! 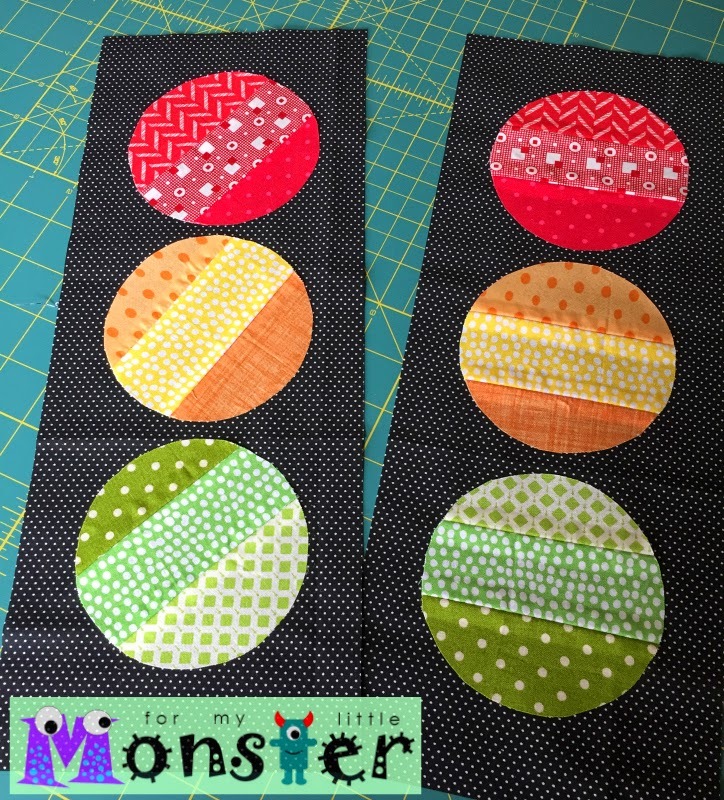 The traffic lights work really well and the quilt they are going into is a great idea! 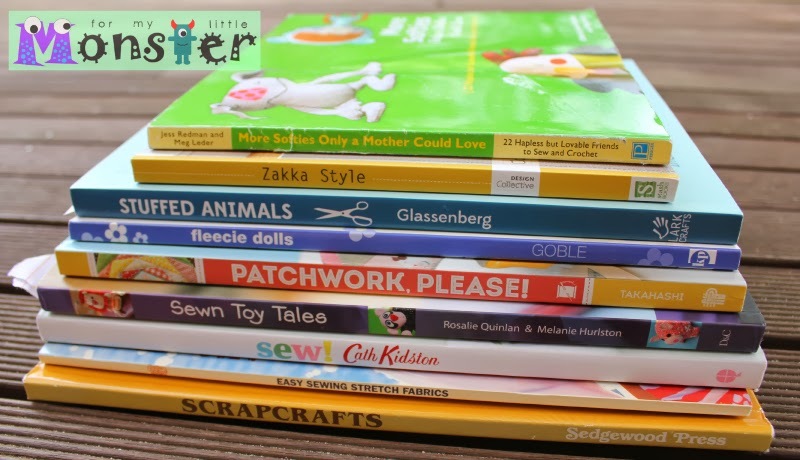 I don't have loads of sewing books, but love your way of making sure you use yours. 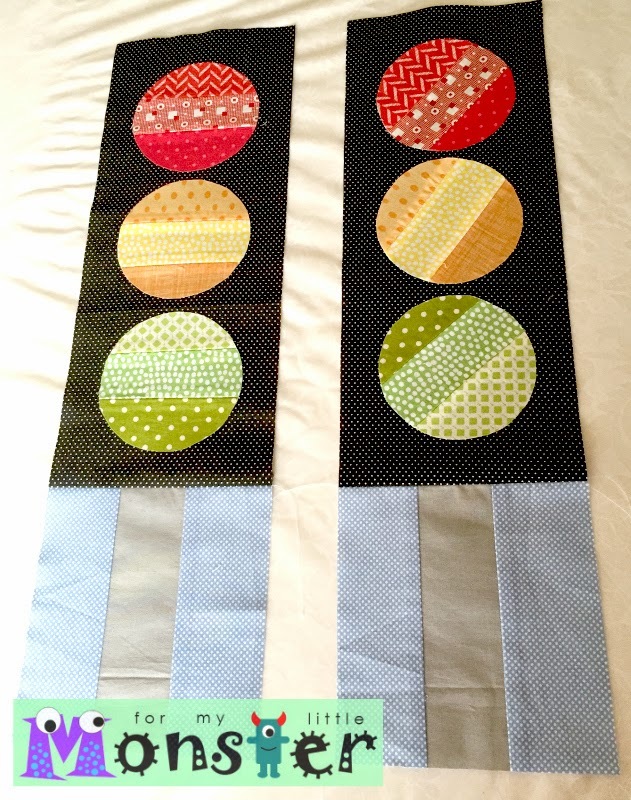 I love the traffic light quilt. Great idea!